I’m heeeee-ere!! I have arrived safely in Arizona!! 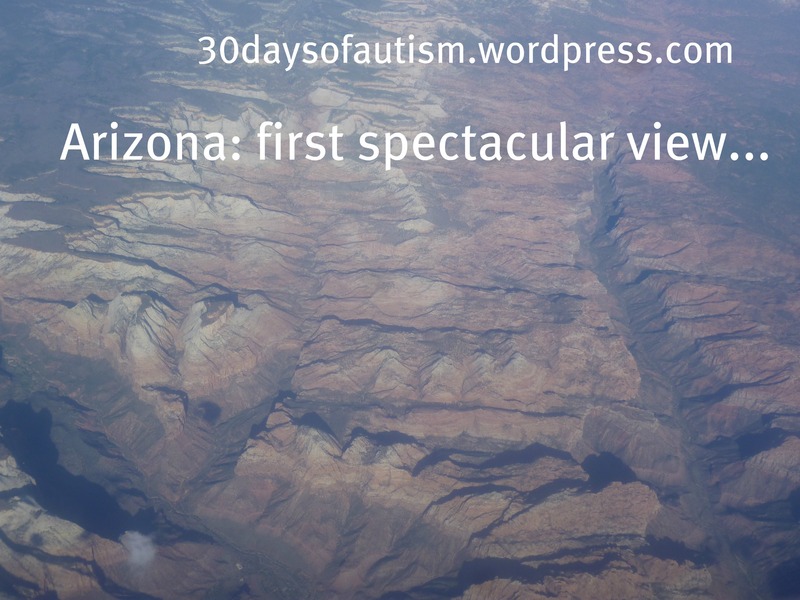 I’m very excited about the next few spectacular days surrounded by wonderful people sharing amazing perspectives at the Northern Arizona Autism Conference! Hmmm… Do I sound enthusiastic?!? I am rather enthusiastic!! Tomorrow will be a very exciting day – and I am so grateful to be a here to be a part of it! However, I still have bunches of things to organize and also to find. Yes!! I am trying to sort out my stuff. I packed so smart I can’t figure out my own system! I know there was a plan here somewhere! 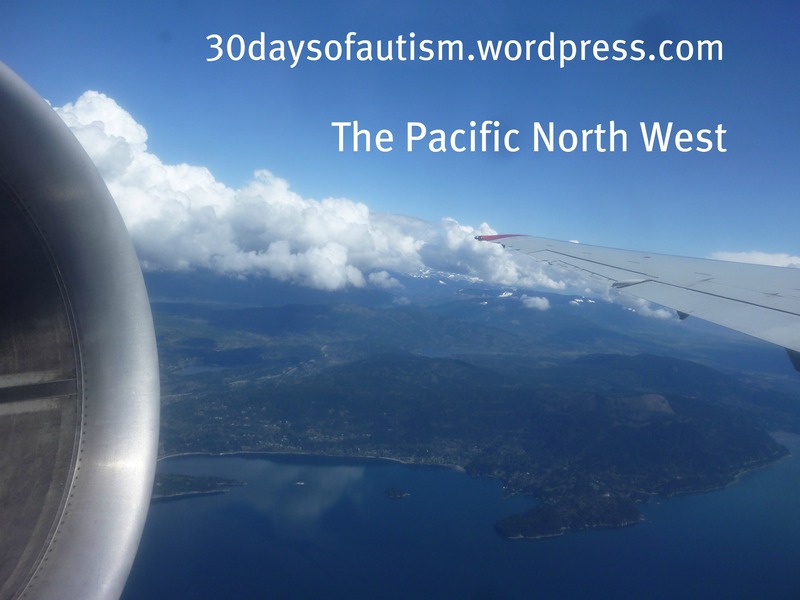 So… because it is important to sometimes simplify things for the sake of one’s mental wellness today’s post will be considered complete with the addition of a few photos from the flight! And yay! – tonight as I rocked the Good Enough Thinking strategy, I also employed a top-secret trick I learned from some rather clever Grade 2 students: larger font makes it seem like more writing!! Awesome! 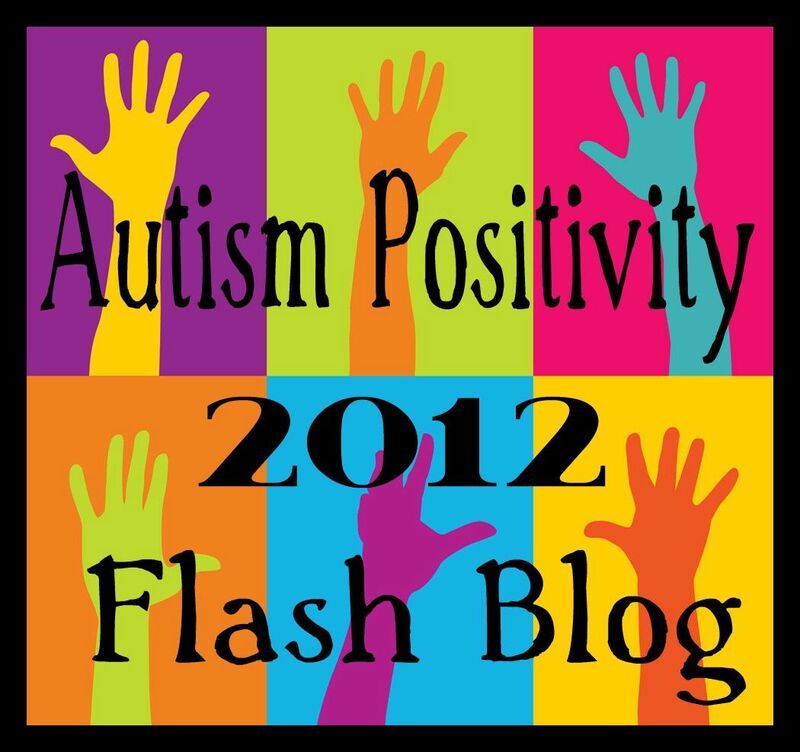 This entry was posted in Arizona, Aspergers, Autism, good enough thinking, NAzASA and tagged Aspergers, Autism, awareness, flexible thinking. modelling cognitive strategies, flight, Mental wellness, Perspectives, strategies. Bookmark the permalink. 3 Responses to I am in Arizona… but I can’t figure out my own system! Ah, the old “use a bigger font” trick. Kids I knew in high school and college preferred the “use wider margins” trick or the “increase the line spacing” trick. I, of course, usually had to explain why my 2000 word essay was 4500 words long.